Pi Tree: a 3D printed kinetic sculpture that changes shape and puts on a mesmerizing show when twisted from one side to another. Youbionic Double Hand: a wearable robot hand that you can wear on both arms to get more done. It is printed in plastic and has a lightweight design. Pleurobot: has 3D printed bones and motorized joints. This salamander inspired robot can walk, crawl, and swim under water. Poppy: an open source humanoid robot that stands 84cm tall. 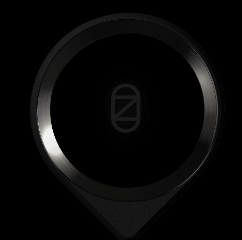 It has 25 smart actuators, 2 wide-angle camera, and a LCD screen. It is powered by PyPot. Open Bionics 3D Printed Prosthetic Limbs: these can be controlled through sensors placed on your muscles. The fingers can be moved independently and allow for different gripping modes. 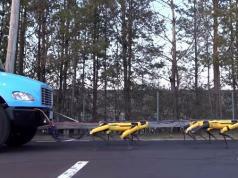 MX-Phoenix from Zenta: this giant 3D printed hexapod robot can negotiate uneven terrain. It has 6x MX-64T and 12x MX-106T servos and runs C++ code on a Teensy 3.6. Terminator T800 Robot: an awesome robot for the fans of the Terminator franchise. This 3D printed bot responds to simple voice commands. Third Thumb: a 3D printed motorized extra finger that can be controlled by your feet. It consists of a flexible thumb, two servos, batteries, and Bluetooth foot controllers. Steampunk Robotic Watch: a steampunk robot that stays on your wrist and automatically writes and erases the time. LUNAR Model with Augmented Reality: a beautiful 3D printed model that teaches you a thing or two about our moon. This was made with error precision of 0.025 millimeters. 3D Printed Levitating Death Star: based on the Levitron Ion Revolution Platform, this project is all about levitating your own 3D printed Death Star with magnets. Death Star Ring Box: the perfect ring box for proposal to a geek. It is 3D printed in metal or plastic. 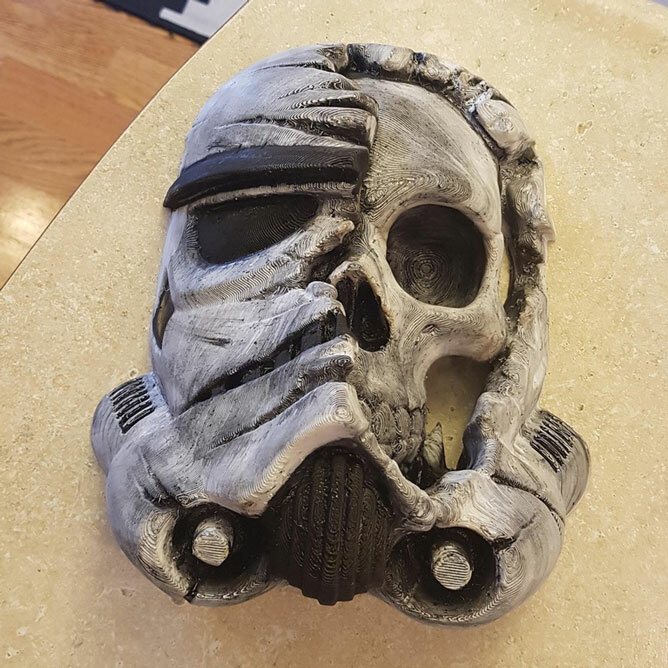 Star Wars DeadTrooper: another interesting 3D printing project for Star Wars fans. 3D Printed Scorpion Tank: ready for IR battles, this tank has a Clark TK22 board compatible with Tamiya and Heng Long IR battle systems. Clockwerk: a 3D printed, 3-axis tourbillon with 99 parts, 34 of which are printed. Doorman: a 3D printed animatronic sculpture with Arduino that opens its eyes and looks around when motion is detected. 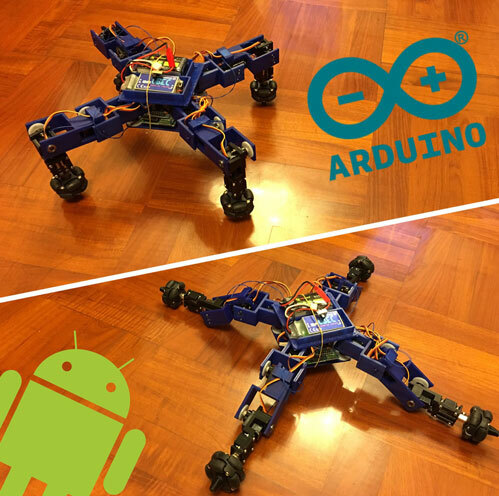 86Humanoid Rider: a 3D printed biped robot based on 86Duino. It can get up and perform various simple moves. Star Wars R2-D2 Echo Stand: this was 3D printed in PLA. 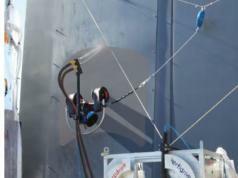 Works with the 1st and 2nd generation Echo. 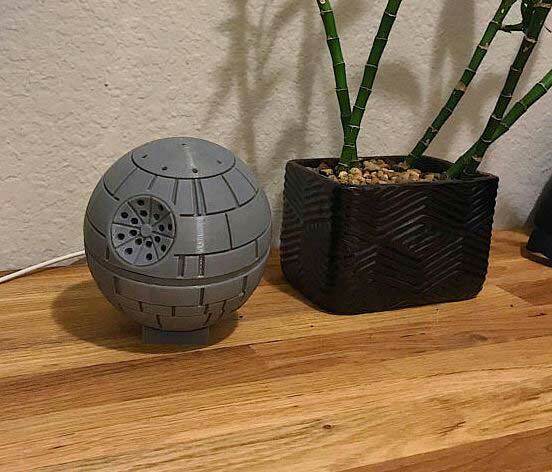 3D Printed Death Star Google Home Mini Holder: a beautiful holder for your Google Home Mini that keeps your device safe and doesn’t interfere with its features. Dish Washing Robot: tired of washing the dishes on your own? 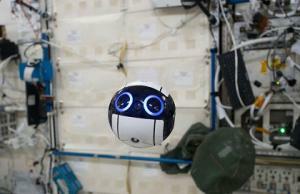 This 3D printed robot can do the job for you. 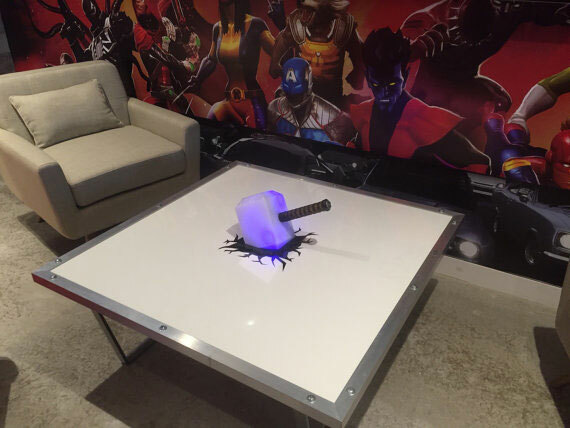 Thor Hammer Table: a cool table with a 3D printed translucent hammer. 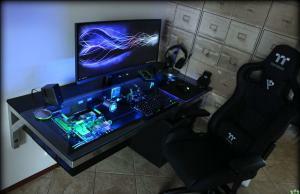 It comes with a custom programmed microprocessor. Water Droplet Kinetic Sculpture: a 3D printed desk toy that creates a wave-like pattern that happens when a droplet lands on water. You just have to crank the handle to get this working. NimbRo-OP2: a 3D printed research robot with open design that works with ROS. 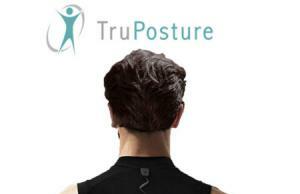 It plays soccer and can do a whole lot more. 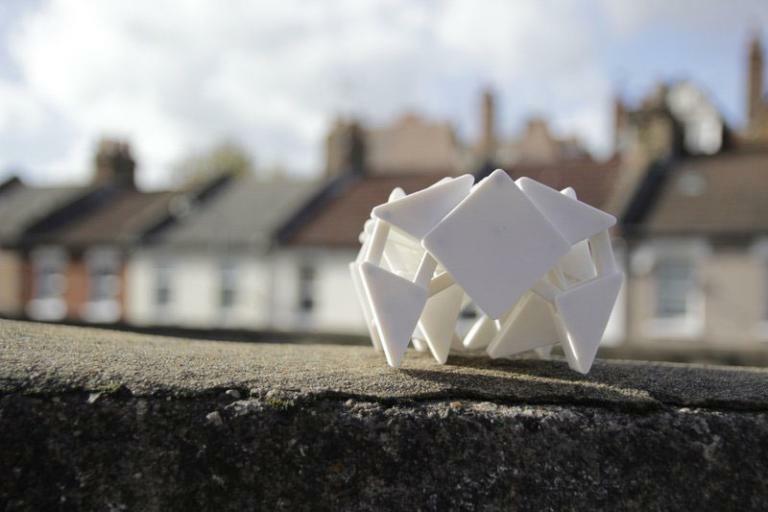 Vorpal: a 3D printed combat hexapod that can be programmed with Scratch. It is made with Arduino hardware. 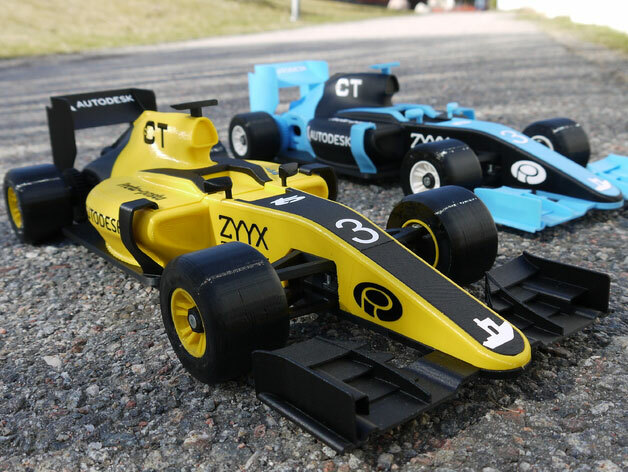 3D Printed OpenRC Formula 1 Car: a RC car you can print in PLA with NinjaFlex tires. 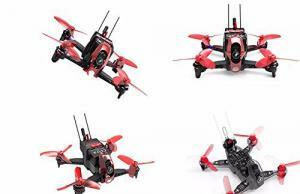 You are going to need brushless motors, battery, and a transmitter/receiver set. Humble Velocipede: this 3D printed desktop walking machine was inspired by Theo Jansen’s Strandbeest creatures. It can move on coffee tables and other flat surfaces. 3D Printed LEGO Electric Skateboard: made with an electric motor (1.5kW) and giant 3D printed bricks. 3D Printed Pokemon Chess Pieces: a fun gift idea for Pokemon fans. It has 32 3D printed chess pieces that portray Pokemon characters. 3D Printed Soft 4-Legged Robot: this can climb over obstacles and walk on rough terrain like sand and pebbles. The X shape layout of the legs enable the robot to adapt to different surfaces. 3D Printed Off Road Robot: this was 3D printed with Polymaker PC-Max, a polycarbonate based filament. It is heat resistant and robust. 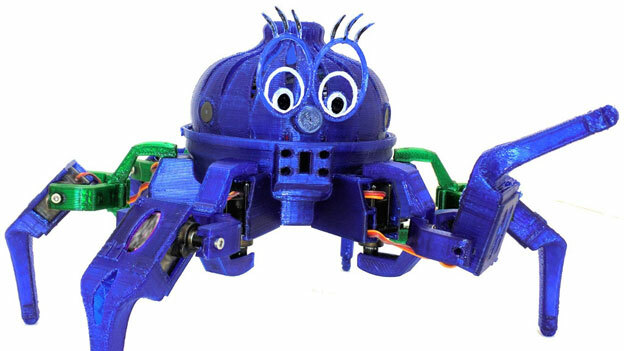 Spiderbot V2: an Arduino robot with a 3D printed transforming body. 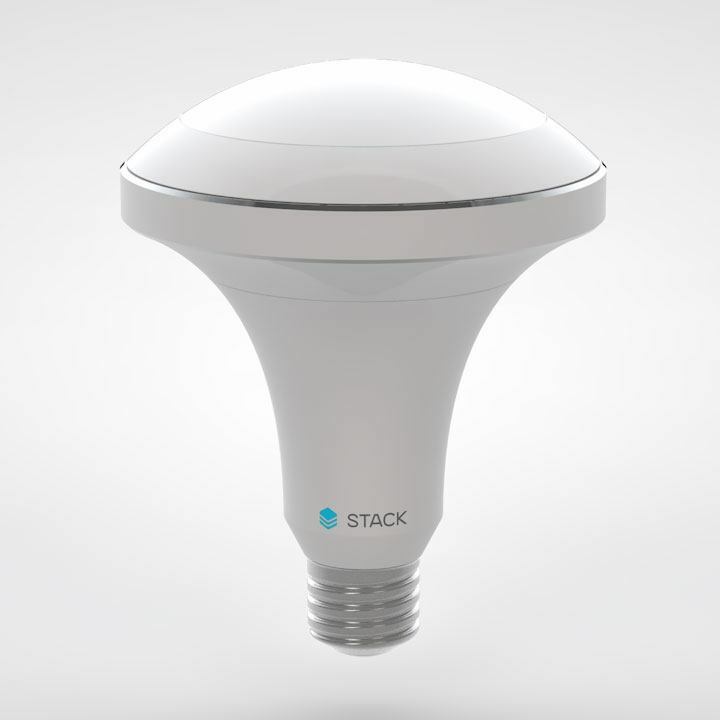 It can be controlled with an Android phone. Legend of Zelda Guardian Sword: 3D printed in several pieces and connected together using screws. It is designed in Autodesk Fusion 360. 3D Printed Flexible LEGO Tape: flexible LEGO strips you can stick to windows and other surfaces. Made from NinjaFlex. Avengers Ultron 3D Printed Head: the robot head can react to simple hand commands. Yet another awesome project by James Bruton. 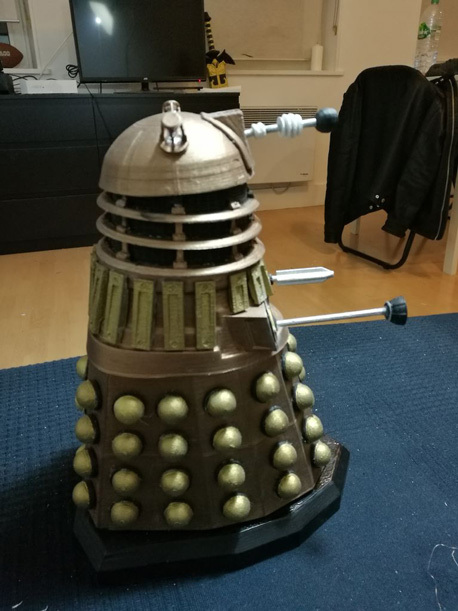 Motorized Dalek with Arduino: you are going to need an Arduino UNO, 2 DC motors, sensor, and other simple parts to complete this. 3D Printed Pangolin: a beautiful creature that was 3D printed to raise awareness about pangolins going extinct. 3D Printed Chevy Camaro V8 LS3 Engine: a beautiful engine that took 200+ hours to print. 2kg of filament was used to complete it. 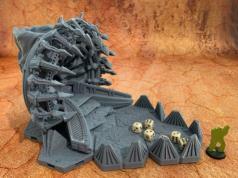 3D Printed Magic Gears Grid: a triangular grid of 19 gears with a crank. Just work the crank to see the mesmerizing effect. 3D Printed Steampunk Guitar: a fully functional guitar with moving gears. It is printed in one piece using nylon. 3D Printed 22×22 Rubik’s Cube: a beautiful puzzle made using a consumer-grade 3D Printer. It has 4.3 x 10 ^ 1095 possible scrambles.